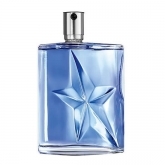 Thierry Mugler is a French fashion designer and photographer known for his 1980s power fashions and widely credited with introducing a new fragrance trend or category—gourmand—in the 1990s. 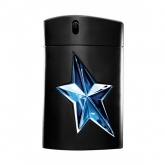 Mugler originally trained as a dancer and worked professionally starting at age 14. After studying interior design, he moved to Paris at at age 24 and began working as a window dresser and freelance designer. 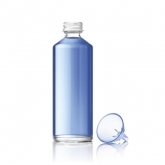 His first personal collection for women was produced in 1973. 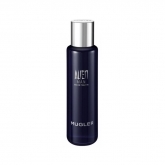 Mugler opened his first Paris boutique and also launched a menswear collection in 1978. 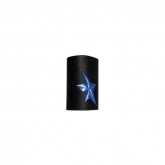 His style is distinguished by its futuristic shapes and fantasy elements. 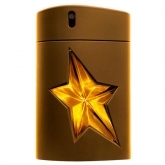 Mugler's first fragrance, Angel, was introduced in 1992 and set the fragrance world on fire with its unabashed sweet and foodie notes. 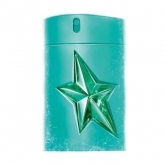 Hugely influential on the perfume industry of the 1990s, with influences extending into the 21st century, Angel continues to be a best-seller with both women and men, and was inducted into the Fifi Awards Hall of Fame in 2007. 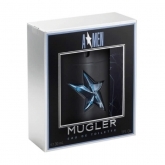 Mugler's first official scent for men, A*Men, was introduced in 1996. 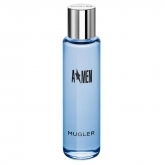 Angel and A*Men have inspired dozens of flankers, along with Alien, another best-seller introduced by Mugler in 2005. 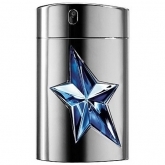 Mugler's fragrances are offered in conjunction with Clarins Fragrance Group.